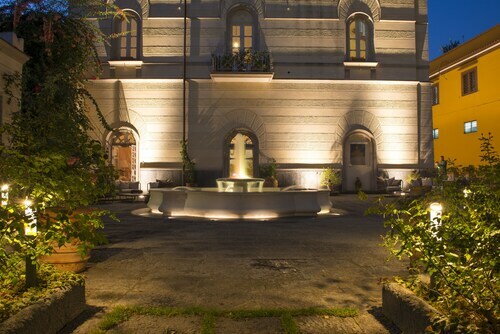 These hotels are located throughout the area in Pompei. Really good stay, enjoyed Pompeii, Herculaneum and Vesuvius, all easily accessible from Pompeii. 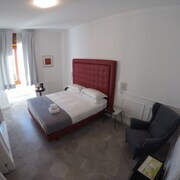 This hotel is in a very convenient position in Pompeii for the excavations and also to travelling to Naples or along the Amalfi coast. It's ideally placed to use public transport to reach Pompeii, Herculaneum, Sorrento, Salerno, Naples, Vesuvius and the islands in Naples Bay. Very close to Pompeii ruins which is why we wanted to stay there rather than travel from Rome or Naples. Whilst here we visited Pompeii, Vesuvius, Naples and Capri, sometimes making use of the cheap but very busy train. Such friendly staff, and so helpful. They went out of their way to make our stay in Pompei a memorable one. Thankyou! This is a unique property with access to working farm with horses, goats, cows, chickens, etc. There are vegetable gardens and orchards. Many of the farm produce are used in the restaurant that serves siple but delicious dishes. Hotel staff is supper friendly and helpful. Museo Vesuviano "Giovan Battista Alfano"
To visit Pompeii is to take a journey back in time. The whole city is a stunning archaeological site located in the Campania region of southern Italy. When Mount Vesuvius erupted in 79 AD it happened so quickly and with such force that the whole of Pompeii, as well as neighbouring Herculaneum, was covered in a thick layer of hot ash. The result was that the houses, furnishings and many inhabitants of Pompeii were preserved almost perfectly, frozen in the moment that the eruption happened. 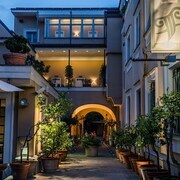 Although there are hotels in Pompeii, its position close to the Bay of Naples means that a Naples hotel should prove almost equally convenient, as indeed would a hotel in Rome or a Sorrento hotel. The timeless allure and fascination of Pompeii draws in visitors from around the world and many people opt to make an exploration of the city part of a wider trip to Italy. Many people exploring the ancient city opt not to stay in one of the Pompeii hotels, travelling instead from Naples or Sorrento on the Circumvesuviana railway which stops just by the main entrance to the city at Porta Marina. 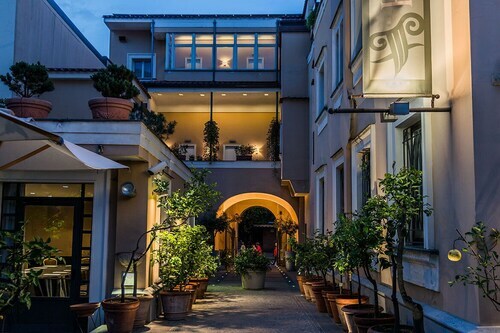 If you’d rather stay within walking or touching distance of the many ancient artefacts and sites, however, one of the hotels in Pompeii itself will be the perfect choice. Although most people take just the one tour of Pompeii, there’s so much to see and admire that anyone with a genuine interest in ancient Rome will want to return several times, taking the chance to explore such famous spots as the forum, the House of the Tragic Poet and the amphitheatre. The fact that Pompeii is a living museum at the same time as being a city means that it doesn’t have the kind of districts that you’ll find in most Italian cities. It had them back in 79 AD, of course, and one of the most famous relics is a well-preserved brothel in what was once Pompeii’s red light district. 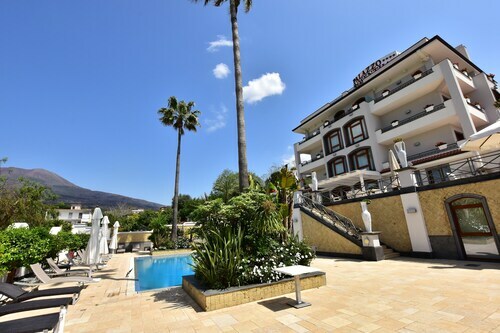 Choosing your Pompeii hotel, therefor, doesn’t mean choosing accommodation near to the clubs, shops or restaurants; it simply means choosing one which is suitable for your party and the budget available. Whichever Pompeii hotel you choose, you’ll be just a short walk away from a genuinely haunting trip back in time. 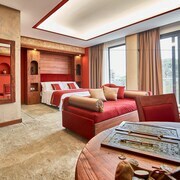 The hotels on offer in Pompeii run the gamut from luxurious to basic, but they all offer a place to rest and recover before embarking on another day of exploration. 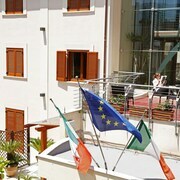 The 4 star Pompeii Resort is located on the Viale Unita d'Italia, and is less than three miles from the excavation site. It has its own restaurant and bar as well as a conference centre, making it ideal for larger groups such as educational establishments. 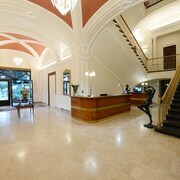 Giovanna, on Viale Unita d'Italia, is a 3 star hotel located less than a mile from the Shrine of the Virgin of the Rosary of Pompeii. 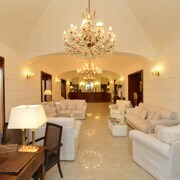 Breakfast is included in the price of the room and free Wi-Fi and parking also come as part of the deal. 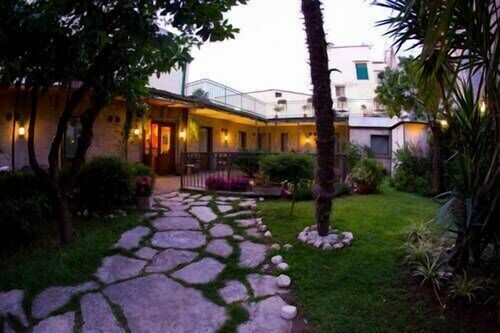 If you’re travelling in a larger group and working to a budget, then the Villa Diomede Hotel is an ideal choice. Up to five people can stay in one of the dormitory style rooms, and some come with their own kitchenette for that home from home feel. Staying in Pompeii means making the most of the ancient ruins. In order to do this you’ll need the expert input of an experienced guide. On the Pompeii Ruins walking tour you’ll spend two hours being guided around the ancient city having the kind of fascinating details which a casual visitor might miss pointed out and explained. If the sight of Mount Vesuvius looming over the ruins fascinates you then why not take a closer look on a Mount Vesuvius 4x4 Tour with hike, lunch and wine tasting. The trip combines a journey up the side of Vesuvius in an all-terrain vehicle, followed by a 30-minute hike to the very top. 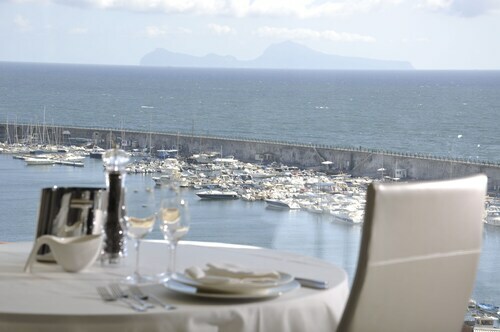 After admiring the views out over the Mediterranean coast you’ll be taken to the Le Cantine del Vesuvio winery to sample the wine and enjoy a mouth-watering lunch of local produce. Book your flight and hotel together on Expedia to save money and before you know it you’ll be travelling back to ancient Rome. Explore Pompei with Expedia's Travel Guides to find the best flights, cars, holiday packages and more!